(NewsUSA) – Diabetes is a serious disease that can affect many aspects of the body — the heart and kidneys, blood circulation and even the eyes. In fact, diabetic eye disease increased in prevalence by 89 percent between 2000 and 2010 and is a leading cause of blindness among American adults. Despite this, vision care is often overlooked by people with diabetes as they work to manage the many other health problems the disease can cause. According to a survey by the American Optometric Association, 55 percent of people are unaware that diabetic eye disease often has no visual signs or symptoms. Additionally, 44 percent of Americans don’t know that a person with diabetes should have a comprehensive eye exam once a year, including a retina (dilated) eye exam. Yet, these exams are the only way to diagnose serious eye diseases associated with diabetes at its early stage. Regular retina eye exams are critical for early detection and treatment of these progressive eye diseases that often begin without warning. 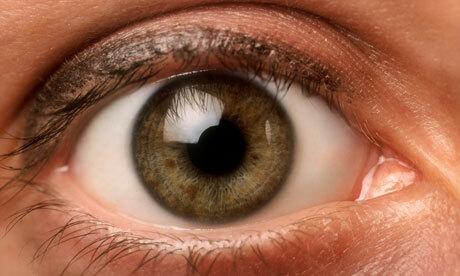 The longer a person has diabetes, the higher their risk for eye disease. Over time, diabetes may cause damage to the blood vessels in the back of the eye, known as diabetic retinopathy, which can lead to diabetic macular edema (DME). DME occurs when the damaged blood vessels leak fluid and cause swelling. Although symptoms are not always present, this swelling can cause blurred vision, double vision and patches in vision, which may appear as small black dots or lines “floating” across the front of the eye. Approximately 26 million Americans have diabetes and may be at risk for DME. More than 560,000 Americans have DME. Yet, approximately 55 percent are unaware that they have the disease. African Americans and Hispanics over the age of 40 are also at a higher risk for DME.